Start from a passion of loving Music, he start his movement from year 1996 since he was in Junior High School to create a punk rock band called Disorganize as a Vocal and also Guitarist, who played music that influenced by The crass, sham 69, Nofx, etc... and he has been acting as guitarist aditional player from Septictank. 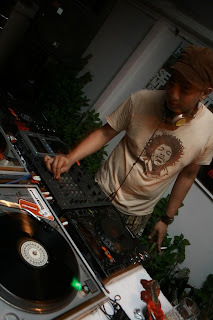 He heard various kind of music from acid house to tech house, from nu wave to nu disco, from ambient to Reggae. In 2003 he start collecting records and start playing at the club playing House Music such as Deep House, Acid House, Chicago House & Afro Beat. After that he became resident DJ at Club Monaco (2004), Baby Face (2005), Dizzy Lounge (2006), Urban Lounge (2008). 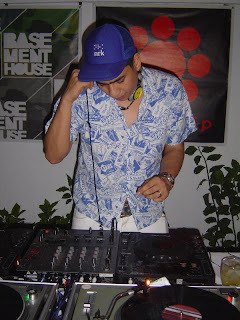 Known as the founder of Basement House that regularly made house party every month at various club in Jakarta called Jackin’The House, with Local Heroes and international artist as guest DJs.Basement House consists of 3 Djs besides me: Robin, Anggarez, Mike Wowor and also Messa as a Manager . One of succesful party that we made is Sounds of Gili (2007) at Gili Trawangan which is a beautifull island at Lombok 3 days in a row. He made to the top 12 of Heineken Thirst Studio DJ Competition in 2006.Now he is chosen as Best House DJ of the year 2009 of Ravelex Electronic Dance Music Awards (REDMA). He performed in various rave party in Indonesia, from side of a beach to the top of the mountain.From Lost Chapter at Bidadari Island, Summer Sunset Session at Dreamland (Bali), 777 at Gadok Puncak and many clubs at Jakarta, Bogor, Bandung, Jogjakarta, Surabaya, Bali until Bangkok (Thailand). He has been sharing deck with international artist likes Kevin Yost, Richie Hawtin, Nick Chacona (Mood Music), Franco de Mulero (Ibiza), Audiowhores (UK), Studio Apartment (Japan), Collete (OM Records), Cevin Fisher (Subversive), John Jones feat Tara Mcdonald (Hed Kandi), Novak 3D Disco, David Tort (Spain), Darren Price (Underworld) & Peter Hook (New Order).